Before you start another dieting program, read this! Home/Motivation, Uncategorized, Weight Management/Before you start another dieting program, read this! Stop, right now, and put your hard-earned money back in your pocket. Too many people throw thousands of dollars away every year on dieting programs that don’t help solve their weight concerns. Why? There are many reasons; buying on impulse, thinking in the moment and not for the long haul, or looking for an easy solution are just a few. Here are a few things you should consider before starting any kind of dieting program. First and foremost, always be sure to consult your health care provider about what’s best for you. Also understand that works for you may not work for someone else, and vice versa. Your health care provider can help you find a program to best suit your specific needs. So with millions of products and programs out there, where is one to start? “This expert” says one thing, and “this one” says another. Here comes a key point that you should know, so write this down: Do your research. Know what it is that you’ll be consuming, and how it can affect your body. If you truly want to lose weight, you should be willing to do the work; all the work. That includes research on what to eat, how much to eat, etc. The secret to losing weight and being able to keep it off is by making a lifestyle change. Before starting a program, ask yourself if you are going to eat that way for the rest of your life. Be honest. Most people say no. If you are one of those people, don’t waste your time or your hard-earned money. Find what works for you. Sure, you may get results fast, but what happens when you stop following the diet plan/meal replacements? You guessed it. The weight comes back, and some more. 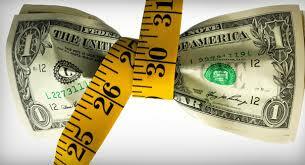 Understand that dieting companies are businesses too, and market their products to make money. While, yes, the plan/service may work, it may not be the best option for you. Consider going organic. This option can be more expensive than the processed food route, but look at it as an investment. You invest in healthy, natural foods now, you could have a lot less medical related costs later. You could also plant a garden to help cut costs. Another plus is the lack of chemicals that are found in most processed foods, proven to have negative health effects. Regardless of the option you choose, know that there are many methods and programs to help you with healthier eating and weight loss. Just remember that if you do choose a dieting program, it is a tool, not a solution. Strive to eat healthy, exercise, and live a balanced life. By mlbulgin1|2014-04-09T14:42:41-05:00April 9th, 2014|Motivation, Uncategorized, Weight Management|Comments Off on Before you start another dieting program, read this!